Bumi Armada Bhd (Bumi Armada) has entered into contracts to purchase four multi-purpose platform support vessels (MPSVs) with Nam Cheong International Ltd for a total value of approximately US$130 million, excluding owner furnished equipment. In a press statement, Bumi Armada said that each MPSV would be 88.8 metres long and have the capability to support offshore deep water activities with multi-purpose functions of transporting cargo, oil recovery and be on standby/rescue work. This was under the company’s vessel new build programme ‘Steel on Water 2’ (SOW 2), the statement elaborated. Bumi Armada executive director and chief executive officer Hassan Basma said, “As oil exploration and production moves further from shore to deeper, harsher waters coupled with increased safety and operational requirements post-Macondo, there is a corresponding increase in demand for larger, safer, fuel-efficient and technically-more sophisticated deepwater vessels. “These four vessels are part of our OSV (offshore support vessel) expansion programme, SOW 2, that will spearhead development of a greener, cleaner, safer and more efficient fleet for Bumi Armada. “This new build programme will see Bumi Armada yet again leading the industry in Malaysia through the building and owning of cutting edge MPSVs, the first of its kind in Malaysia. 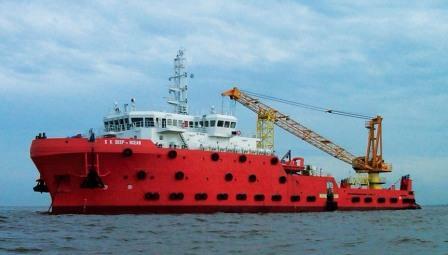 “Bumi Armada’s SOW 2 programme will ensure that the company remains knots ahead of the rest,” he said.